TS CDPO/ ACDPO Old Question Paper Download 2017 – Telangana Public Service Commission (TSPSC) has published a Notification to fill up Child Development Project Officer/ Additional Child Development Project Officer in Women Development and Child Welfare Department. Candidates who are completed Degree in Home Science or Social Work or Sociology they can apply through TSPSC official site before last date (16/10/2017). Applicants also check other details related to TS CDPO Notification 2017 like how to apply, selection method, salary, eligibility and more details are given below. Educational Eligibility: Degree in Home Science/ Social Work/ Sociology. Social Structure, Basic Social Institutions, Human Life Span Development, Human Nutrition and Science, Family and Community Nutrition, Early Childhood Development and Education, Health, Hygiene and Sanitation, Policies and Programmes related to Rural Development, Women and Children, Social problems and Social work intervention and communication. 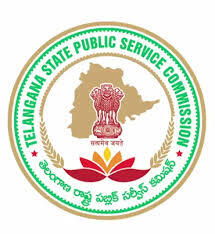 Candidates who are preparing for TSPSC CDPO exam they must and should check previous question papers of TS CDPO, Model Papers, Syllabus, study material, PDF books, and Question Paper Pattern to get a high score in the online exam. Here I am sharing 2013 Social Question Paper. I Hope this question paper will help you lot.